Ultra-light rod, perfect for rock fishing enthusiasts. Mounted with a FUJI VSS/TVSK reel seat and K series guides. Cloth bag. Reel with a lightweight body and graphite rotor, ideal for spinning thanks to its high retrieval rate. Machined spool with multi-perforations for minimum weight. Machined aluminium handle with EVA grip. Stainless steel bearings. Combined felt and stainless steel drag with a 6kg (1000) and 8kg (3000) drag force. 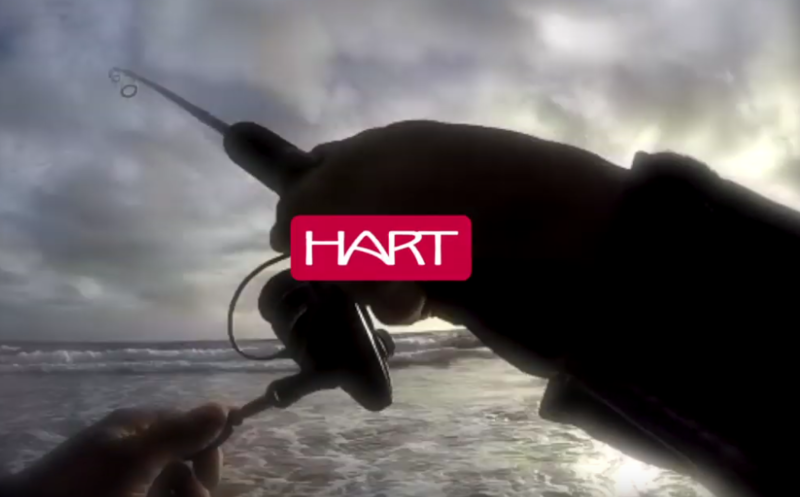 LURE: HART BONY 18 g.
This small lure, with a revolutionary swimming action, has been designed by the HART development team for fishing sea bass and other predators, for spinning and for jig casting. Its construction permits extraordinary casting, making it an essential item in your fishing tackle box. Rigged with an ASARI triple saltwater hook.